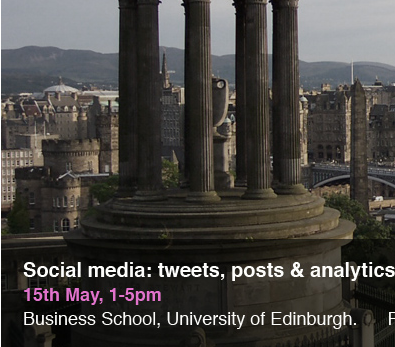 Here’s a talk I gave yesterday at the Social Media Conference that was organised by the Edinburgh Entrepreneurship Club and the Institute for Academic Development, hosted by the University of Edinburgh Business School. It’s pretty wide-ranging and I cover some of the key legal issues that are involved in social media use by companies, employees and citizens. I’ve embedded the Prezi below for info if this sort of thing interests you.